Now entering into our second decade, TLC provides residencies for artists who crave dedicated time to work on their projects, for creative individuals who seek individual growth through guided workshops or retreats, for organizations that want to make time to re/focus on their goals or mission, for leaders to gather to exchange ideas with colleagues in their field. TLC believes that every individual is creative at his/her core, and offers programming that enables the creative impulse to come to the fore. Through its artist-in-residence weeks, curated group projects, and guided retreats and workshops, TLC strives to create an environment where self and group expression can be extensively and intensively explored. Lovingly referred to as Norm's Fish Camp (in honor of the resort's previous owner), TLC is situated in the Superior National Forest, adjacent to the Boundary Waters Canoe Area Wilderness (BWCAW), and offers boating, swimming, fishing, hiking and biking along with a sauna, library, meeting space, public performance space, artist studios and comfortable, fully-equipped cabins for our residents. 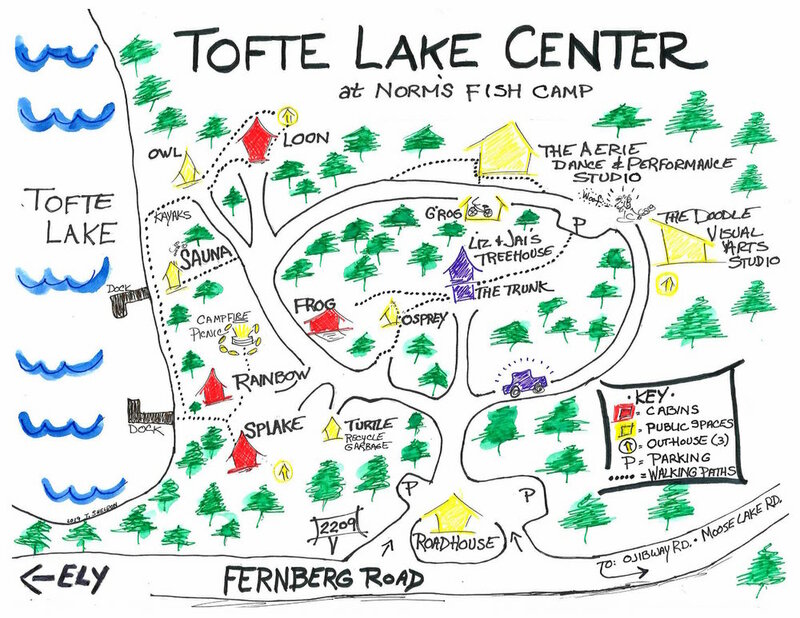 Tofte Lake Center utilizes the facilities at Norm’s Fish Camp, which are designed to fully support artists in the creating of their work and community. These include residential cabins, studio and performance spaces, and community areas. 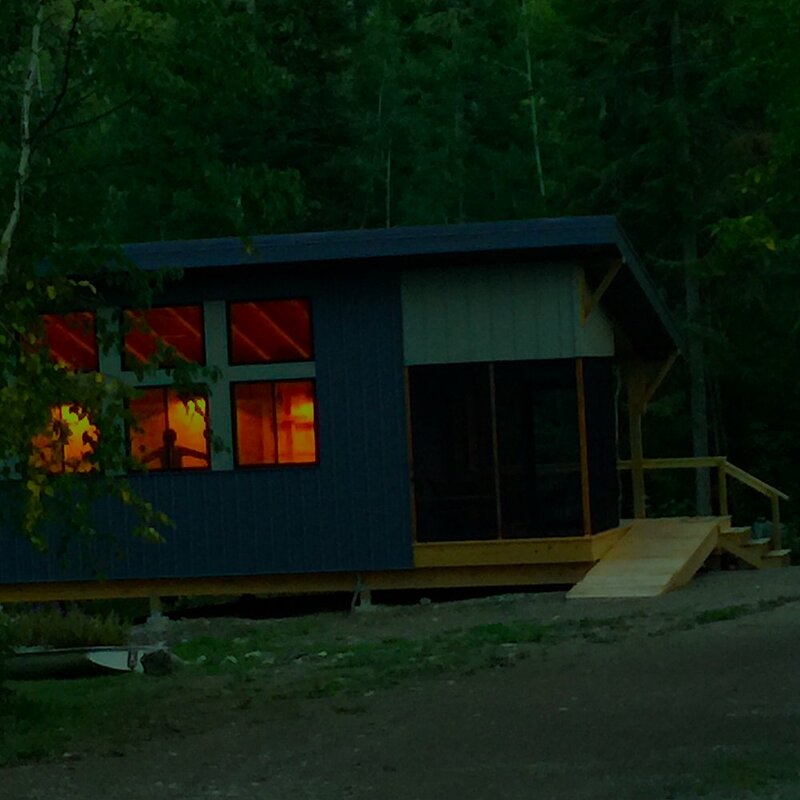 All four artist-in-residence cabins are hand-crafted wooden buildings with plenty of windows with views of Tofte Lake, and provide full kitchen and bathroom facilities, bedding and linens. Our goal is to provide affordable residencies to the fullest range of artists and arts organizations across race, class, gender, geography, age, and discipline. To ensure this, TLC substantially subsidizes each residency week. Your artist's share of the total cost is reflected below. 2 bedrooms (double bed/writing desk in each); loft/work-space (single bed, sleeper couch, desk); kitchen; bathroom; dining-living area with wood stove; deck with lake view plus screened in porch. 1 bedroom (double bed), loft (2 single beds); kitchen; bathroom; dining-living area with wood stove; porch with lake view. 1 bedroom (2 single beds); eat-in kitchen; bathroom; living area with writing desk; deck overlooking the lake. 1 bedroom (double bed); newly remodeled kitchen and bathroom; spacious deck. We offer these places for our artists in residence. A screened gazebo atop the ledgerock with view of lake and woods, for writing and meetings. A space for meetings, reading, writing and games, with hundreds of art and theater books. Our visual artist studio, with desks and countertops for art projects, with printer, office, and art supplies, nestled in the woods. Our recently completed rehearsal and performance space boasts a dancer-friendly Harlequin floor, with views of trees and lots of breeze. A new sound system and great acoustics allow for live concerts, dance, and all kinds of movement. Weekly yoga. Picnic tables and a campfire pit overlook Tofte Lake and its remarkable dinnertime sunsets. A casual dining and gathering space with kitchen facilities, fireplace for chilly spring and fall nights, basic technical equipment, and internet. Ideal for conversation, work sharing, and games, especially ping pong matches. This traditional Scandinavian wood-fired sauna is located on the lakeshore for quick leaps into the lake before and after a cleansing sauna bath. TLC provides our artists use of rowboats, canoes, kayaks, paddle boards and a sailboat to explore the secluded Tofte Lake. Tofte Lake Center strives towards racial equity and inclusion and provides a range of programs for artists and arts organizations across disciplines to participate in week-long residencies. We hope you will apply to be considered for one or more of our season's fifteen weeks of programming. Our application deadline has passed for residencies during the 2019 season. Applications will open for the 2020 season on October 1, 2019. The Emerging Artists Program, sponsored by the Jerome Foundation, is celebrating its tenth year of offering artists from Minnesota and the five boroughs of New York City an opportunity to further explore their work, and to connect and share their process with artists across disciplines. The Gaia Fenna Memorial Fellowship, in its fifth year, was created in honor of artist and nature lover Gaia Fenna, a close friend and supporter of Tofte Lake Center. This weeklong retreat is open to a Minnesota artist who exemplifies Gaia's spirit, passions, and values in their work and life. Individual Artist and Group/Organizational Residencies are offered for both individual artists and groups or organizations looking for space and time to connect, create, and reflect together in community and in nature. Guided Workshop Retreats can be organized around any creative discipline. These have included mosaic instruction, visual art and photography, artistic interaction with nature, installation art, and Forest Bathing. New England Foundation for the Arts (NEFA) The National Theater Project Creation and Touring Grant these grants (not limited to the New England geographic area) require a development partner - consider TLC! If you’ve never visited the Boundary Waters before, you will soon discover that you are in a very special place here at the “end of the road.” If you’ve spent time up here before, hopefully your experience here at Tofte Lake Center will be just as unique as the place itself. We hope that you will be able to take full advantage of the combination of relaxation, work, community, solitude, nature, and activity that TLC has to offer, and come away from your stay both rejuvenated and reenergized. We are 11 miles further than the Veterans on the Lake (GPS will tell you otherwise)! Cabins will be ready by 2:00 p.m. on Monday. Please check in at the orange Roadhouse Building upon your arrival. We ask that you park your cars by the Roadhouse Building. Please only drive down to the cabins to load and unload your belongings. Departure time from the cabins is noon on Sunday. 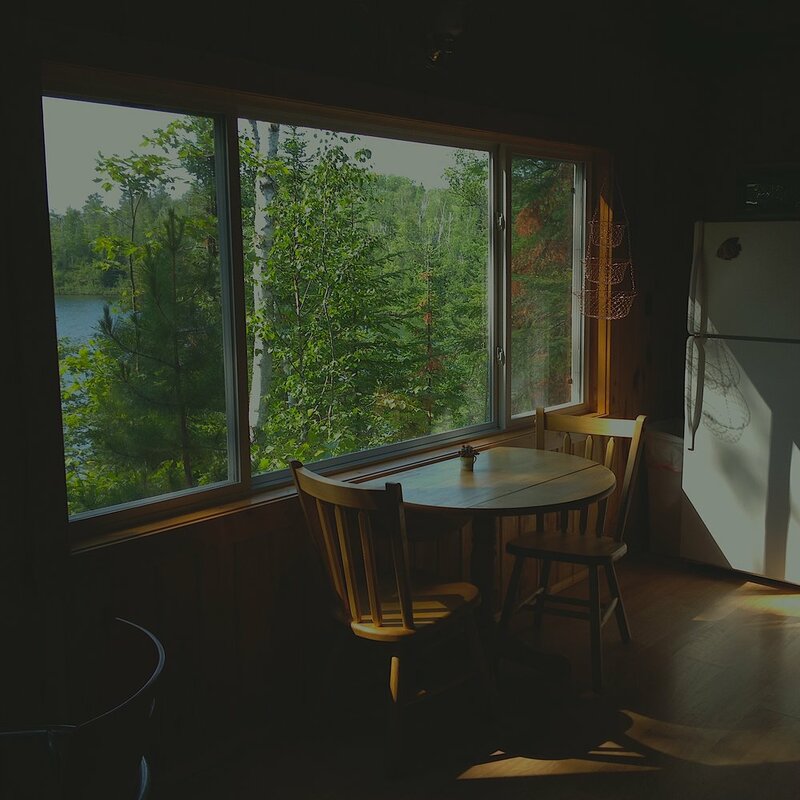 As you vacate the cabin, please strip the beds and pillows that have been used and leave towels and linens on the bedroom floor. Please leave the cabin as you found it. Also, please remove all unused food products and use the garbage/recycling bins provided. The weather here can go through four seasons in a day. It doesn't hurt to have these things on hand to be prepared and make your stay most comforatble. Each cabin is equipped with a full kitchen and kitchenware for your cooking and dining pleasure. There are gas grills and a wood burning pizza oven here for your culinary enjoyment! Wifi calls can be made from the Roadhouse Building. There is no communal phones at TLC. Cellphone reception exists at various locations along the Fernberg Road as you drive back towards Ely. The nearest location for some cellphone services is the lookout point at Rookie Pond, about ½ mile west on Fernberg Road towards town. Bed linens and bath towels are provided for your use. There are no guest laundry services provided at TLC - there are two laundromats in town on Sheridan Street open until 9:00pm. Pets are only permitted with prior permission, and an added non-refundable cleaning fee of $50 applies. Wireless Internet access is provided on-site in the Roadhouse Building. In Ely, it is provided at the Public Library free of charge, and at The Front Porch and Northern Grounds Coffee Shops. Boats, hiking trails, bicycles and 12 acres of forest and lakeshore are available for our artists to enjoy while in residence. 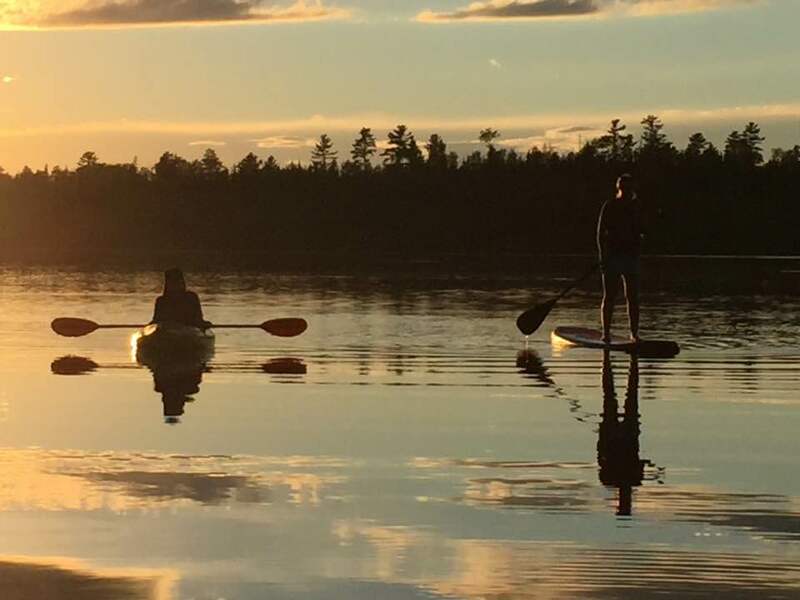 Kayaks, rowboats, canoes, paddle boards, sailboat, and bicycles are all on-site, and arrangements can be made for one-day excursions on other lakes in the Boundary Waters as well. Tofte Lake Center is nestled near the Boundary Waters Canoe Area Wilderness in Northern Minnesota. The largest wilderness area east of the Rockies, the BWCAW consists of more than one million acres of protected forest and 1,500 waterways. Its clear lakes and green pine forests are unlike any other wilderness in the world. Read more about it on the BWCAW website. Just 15 miles away, the town of Ely features shops, restaurants, bars, coffee shops with internet access, a bowling alley, a golf course, and unique museums. Learn about the native wildlife in the region at the acclaimed International Wolf Center and The North American Bear Center. Visit the home of one of Ely’s most well-known and colorful characters, The Rootbeer Lady, at the Dorothy Molter Museum. Ely boasts a vibrant arts scene, from the visual and literary to the performing arts. For more information about the Arts in Ely, check out the following sites: ARTS in Ely, What’s Up Ely, and ARTS in Ely Directory. Man Blossom Man a new performance work by the April Sellers Dance Collective explores a masculinity crisis in America. It validates contradictions in the American male experience, depicts complexity in the male identity and softens barriers of the traditional gender binary. Gender-bending and political sloganeering will partner with stylistically distinct movement to reveal the negatives inherent in patriarchy and how nurturing can disrupt the patterns.